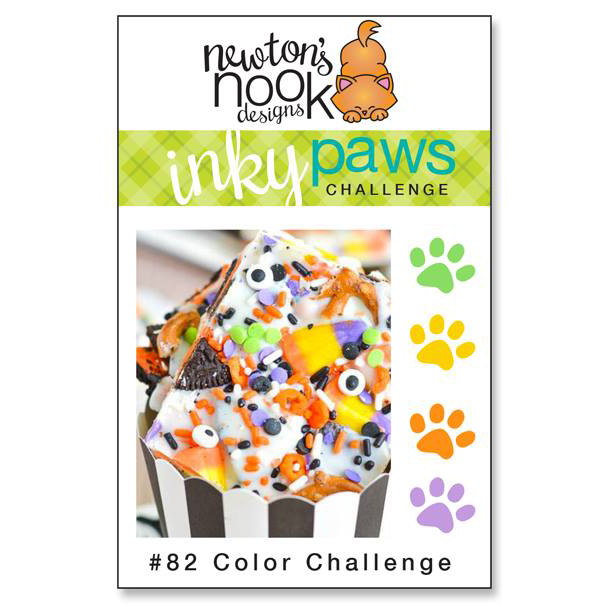 I have a light up card to share today for the new Inky Paws Challenge for Newton's Nook Designs! 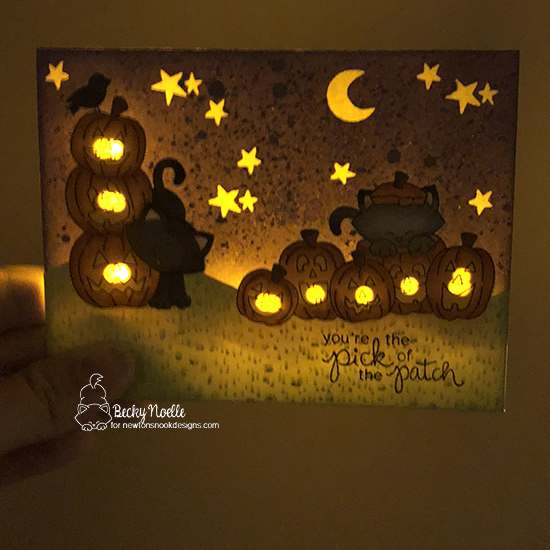 Challenge 82 is a color challenge with purple, orange, yellow, and lime green and I decided to make a fun little Halloween scene and i added lights to my jack-o-lanterns for some extra fun! I love how the lights shine through the stars and the moon too! Come play along with the challenge (you have the next two weeks to link up!) for a chance to win a $20 store credit to the Newton's Nook Designs online store! This is so awesome! 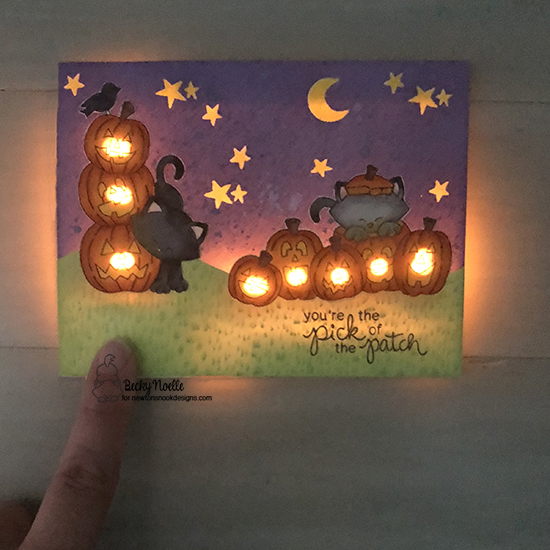 I love how it lights up behind all the pumpkins! What a great interactive card! 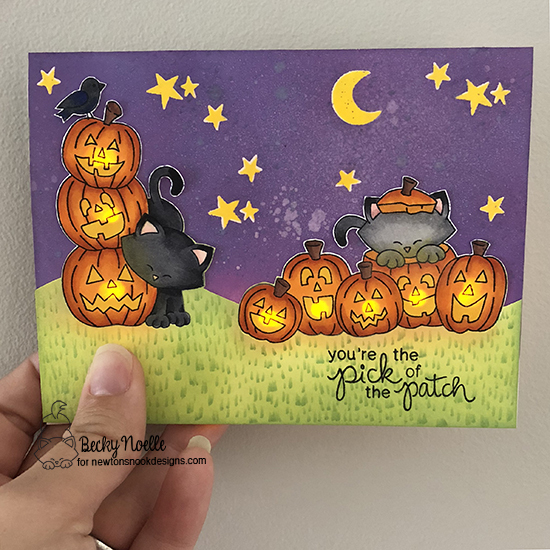 Such a fun card Becky! I love how you added the lights and used the challenge colors. WOW! The dark room adds to the great glow! Wonderful card. I need to get my chibis out!